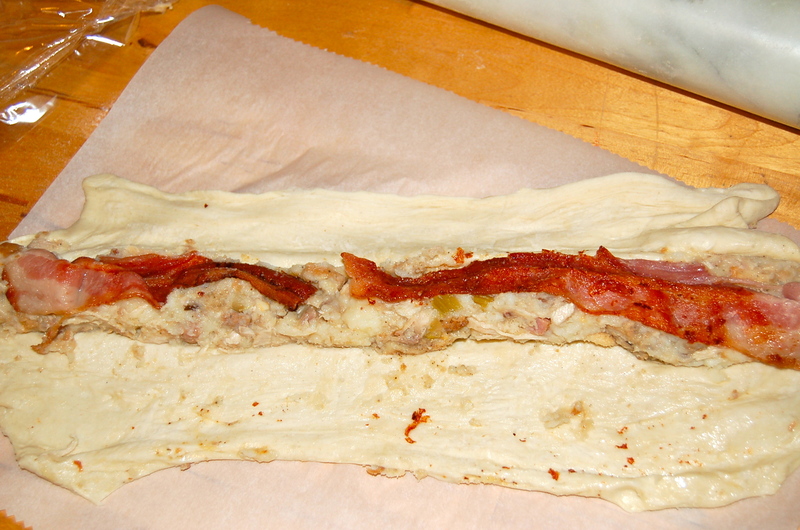 1) Preheat the oven to 425° F.
2) Lay out some parchment paper and sprinkle with a little bit of flour.Roll out the puff pastry into a rectangle about 6 inches wide by 15 inches long (length of about 2 pieces of bacon). Pastry should be about 1/8 inch thick. 3) In a bowl, mix turkey, stuffing, potatoes, and gravy together. 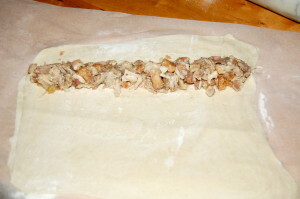 4) Spread the filling onto the dough, in a line about 1 1/2 inches thick. Place bacon on top of filling. 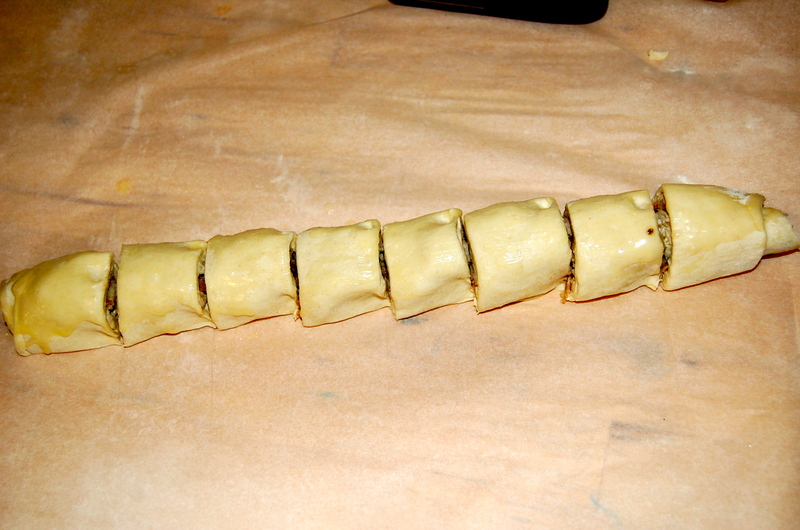 5) Roll the pastry over the filling, so that it looks like a sausage roll. 6) Cut into 1 1/2 – 2 inch pieces. And slather on some melted butter. 7) Bake for about 20 minutes or until golden brown. 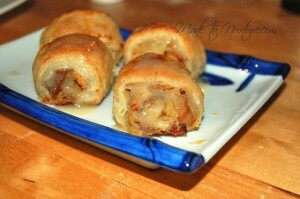 Much like sausage rolls, this appetizer is stuffed with turkey, stuffing, & potatoes and then topped with gravy... delicious. 1 pkg Puff pastry If frozen, make sure it is thawed out before use. Lay out some parchment paper and sprinkle with a little bit of flour. Roll out the puff pastry into a rectangle about 6 inches wide by 15 inches long (length of about 2 pieces of bacon). Pastry should be about 1/8 inch thick. In a bowl, mix the turkey, stuffing, potatoes, and gravy together. Roll the pastry over the filling, so that it looks like a sausage roll. Sounds like carb heaven! If you’d like to try you hand at turkey and sausage gumbo, this is a great recipe. Just replace the chicken with turkey and instead of browning you chicken get the extra flavor from making your own turkey stock with the carcass. ANYTHING in puff pastry is good. This sounds awesome. They are super yummy. I had to restrain myself from eating them all!